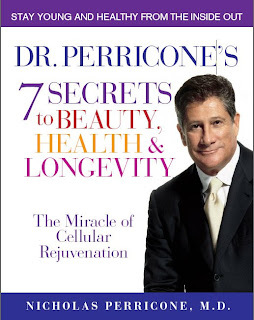 Dr. Perricone is Adjunct Professor of Medicine at MichiganStateUniversity's College of Human Medicine. He is certified by the American Board of Dermatology, is a Fellow of the New York Academy of Sciences, and a Fellow of the American College of Nutrition. He is also a Fellow of the AmericanAcademy of Dermatology and the Society of Investigative Dermatology. Dr. Perricone has served as Assistant Clinical Professor of Dermatology at Yale School of Medicine and as Chief of Dermatology at the state of Connecticut's VeteransHospital. The 7 Secrets to Beauty, Health and Longevity is the culmination of an entire life time of work and research into why and how we age.